Famous lost Mummies may be Oldest form of Life in Existence! EXHIBIT WAS TAKEN AT THE TURN OF THE CENTURY! Claude F Smith 394 Monroe, was on his way back to Lawton last night after retrieving his three carnival sideshow mummies from a warehouse in Harlingen Tx. Smith who runs a barber shop and a used car agency here, claimed the mummies Monday by producing a bill of sale showing he had purchased the mummies more than two decades ago in Oklahoma. The mummies a women and two children, were discovered last week by John Rollins, in a warehouse full of recently purchased army surplus equipment. 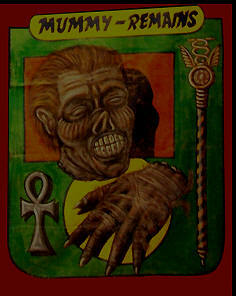 Smith Monday, said the mummies had been missing since 1945 when he leased them to a man for use in a traveling carnival. 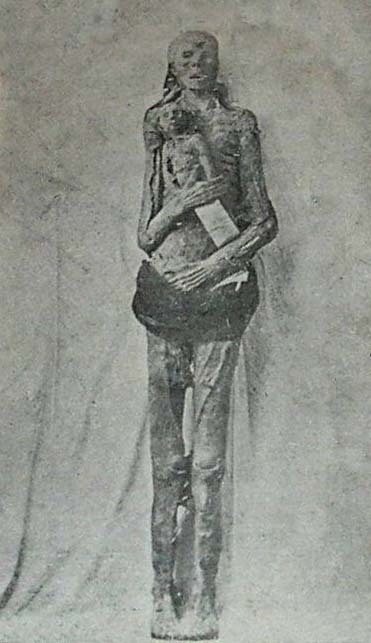 The mummies, he said, were found in 1891 in Yosemite Valley, Calif, by three gold prospectors. 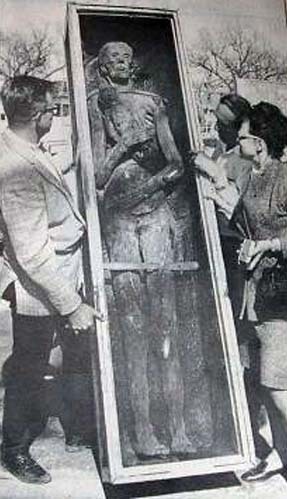 They were then placed in the State Historical Society Museum in Topeka, Kan.
Smith said he purchased the mummies from a Mrs. Miller in Kansas and leased them to a L. Fleming. 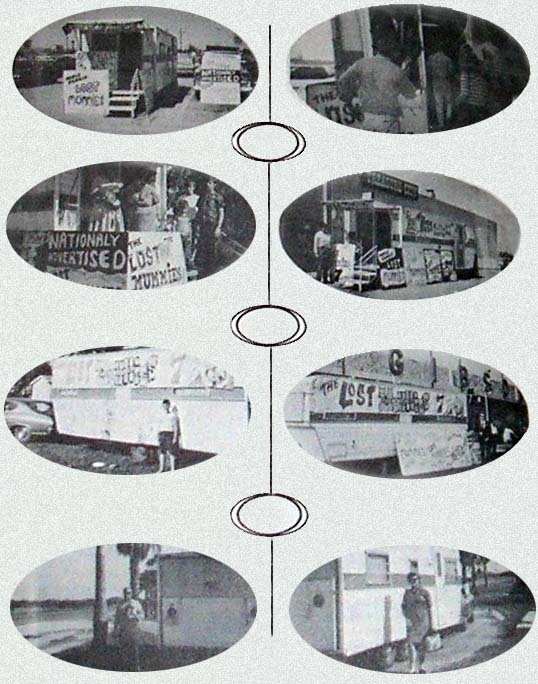 Fleming traveled with a carnival and displayed them in a sideshow according to Smith. Two of the mummies a women and a small child were in one long box, and the other also a child, was in a smaller, coffin-like box. The woman more than six feet tall, had the child clasped in her arms. The mummies apparently came to Harlingen sometime in 1948. Fleming sold them and other show equipment at a public auction, then left town. The warehouse and its contents were sold. 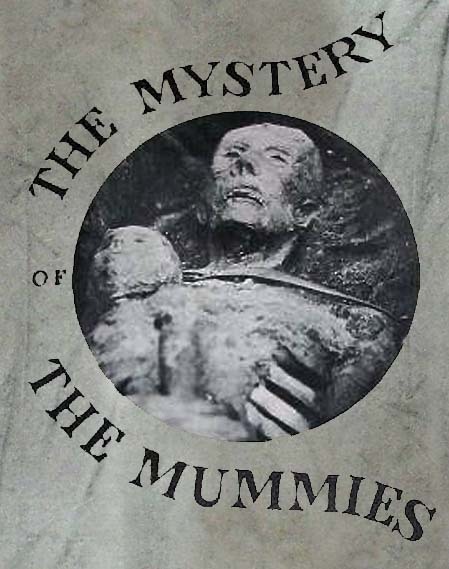 The mummies were found while the new owner was searching the warehouse. The warehouse contained 28,800 one pound cans of saddle soap, some antibiotics, other items and three unexpected bodies “if the army ever switches back from jeeps to horses, I'll really have it made,” the owner of the warehouse stated when asked about the saddle soap. “If the Army ever switches back from jeeps to horses. I’ll really have it made,” Rollins’ said when asked about the saddle soap. 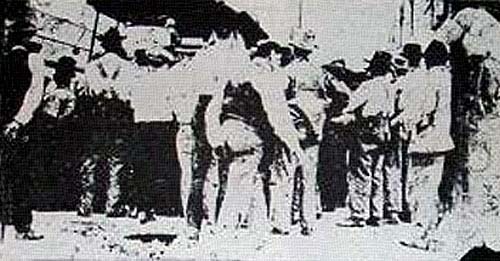 Smith said he read about the discovery of the mummies in a Lawton newspaper story.